…Huge savings of over £5000 available! 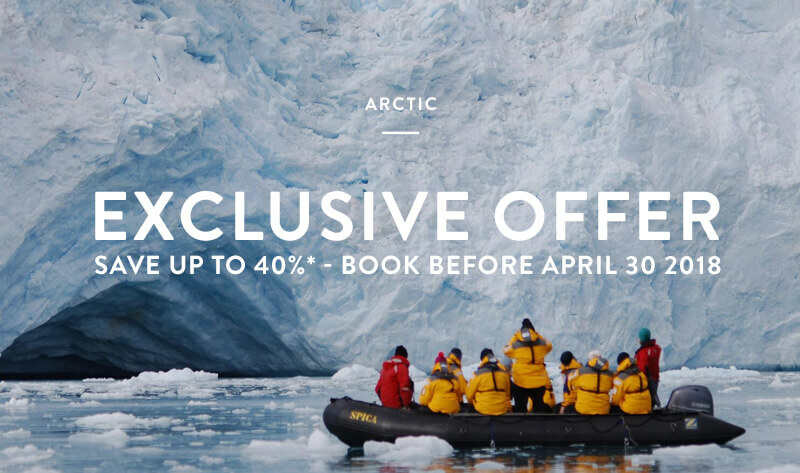 WILDOOT Travel are delighted to announce that up until April 30th, passengers who have previously sailed with Quark Expeditions can receive exclusive and unrivalled discounts on selected WILDFOOT Arctic 2018 itineraries. So if you’re itching for another adventure now is the very best time to book! details and exclusive discounted prices. Picture yourself in Greenland, home to the world’s great fjords and some of the most active glaciers outside of Antarctica. For those who like to get up close and personal and feel the elements, there will be plenty of Zodiac cruising among the glaciers and optional kayaking adventure. Free Transfer Package + 10% Discount + $500 Gift Discount! 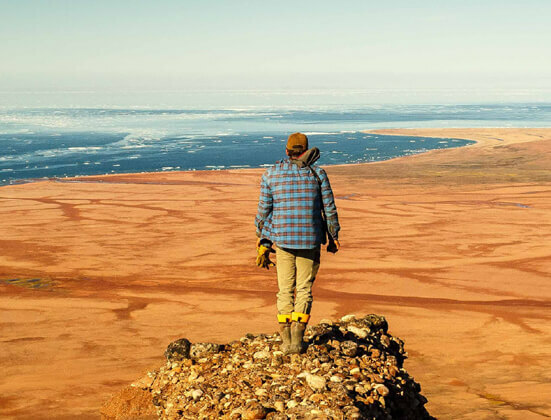 Spend time exploring the Canadian Arctic at this unique wilderness lodge and world-class beluga whale observation site on Somerset Island in Nunavut, Canada. 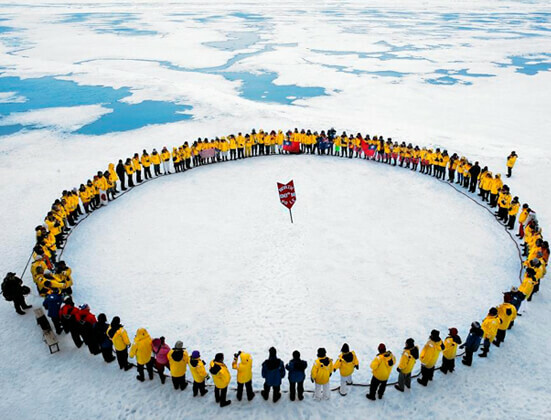 Situated 500 miles (805 km) north of the Arctic Circle, the lodge offers guests fully guided opportunities for diverse adventure activities, and extraordinary polar photography thanks to 24 hours of daylight. 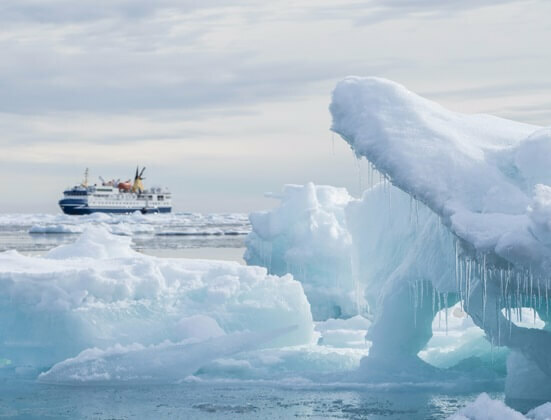 Cruising through the maze-like, icy channels of the legendary Northwest Passage is like sailing deep into the history of the High Arctic. On this immersive 17-day expedition through the fabled sea route, you’ll explore the same landscapes and waters that have enchanted adventurers and explorers for hundreds of years, tracing their footsteps. Free Transfer Package + 10% Discount + $1000 Gift Discount! Your powerful icebreaker ship will take you as far north as you can go on this exciting expedition – the ultimate tick-box! 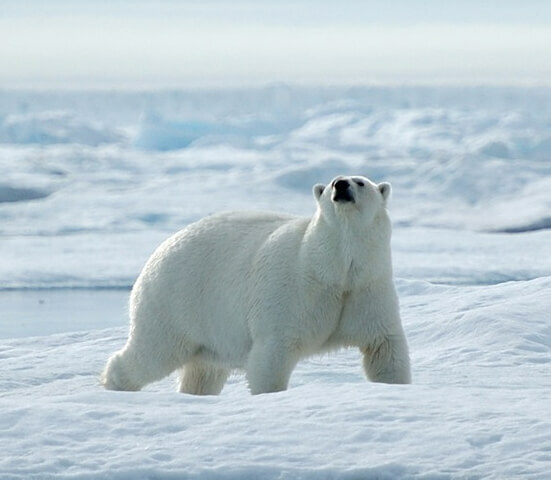 Also visit the remote Franz Josef Land archipelago and look out for polar bears and other wildlife to complete an unforgettable experience.